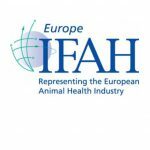 Healthy animals: key to sustainable food production | EISA e.V. The animal health industry plays a significant role in ensuring a sustainable food production by contributing to all three pillars of sustainability. Read more in our paper and the info-graph on the contribution of healthy animals to sustainable food production.